Rivers have been problematic for humans for milennia. Get tired of flooding and put up a dam? Lose the land that floods behind the dam, get silting at the dam, and affect water life migration. (See any large Western state dam or the Three Gorges Dam in China.) Divert a river into an area with concrete channels (such as in Los Angeles)? The same amount of water fitting into a narrower channel moves faster and creates huge damage if it escapes. Stop flooding in an agricultural area? The silt carried by the river that provides fresh soil and fecundity gets carried to the river mouth (as with the Mississippi). I’ve often thought that human interference is usually not only futile but positively adverse to humans long-term. Interesting article on the problem. A RIVER IS a mercurial thing, running deep and fast in the rainy season, and low and slow when the rains fade. It can dry up completely one year, then turn into a raging flood the next. 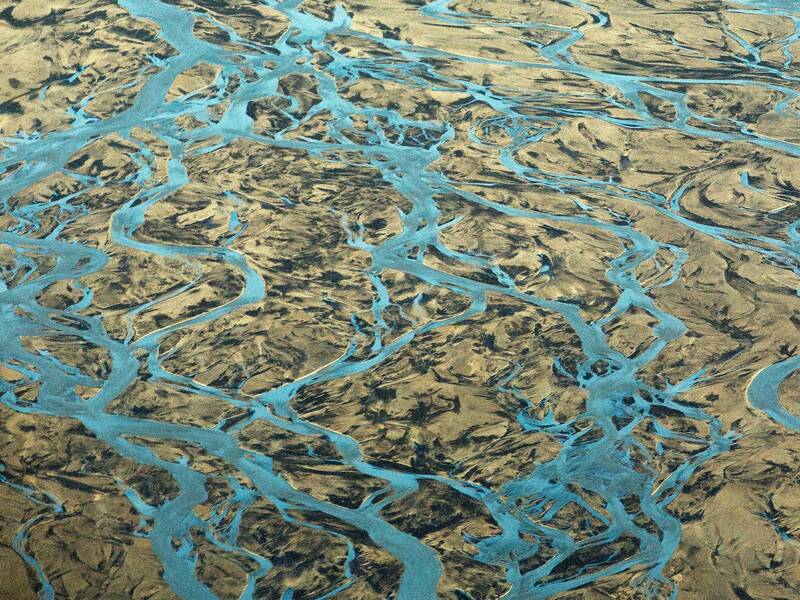 Every so often, a river disappears entirely, bringing down the communities it once nourished. You hear a lot about how climate change is fueling the rise of our seas but not so much about how it will transform our rivers, the flooding of which currently affects almost 60 million people a year. An ambitious new study in Nature Climate Change, though, takes on the task of modeling rivers’ reactions to a warming world. With their projections of flooding severity, the researchers were able to quantify possible losses of both property and human life. As with any climate model, the researchers are making assumptions to present just one possible future scenario—but even in the best case, things don’t look pretty. In general, when that water dumps, it dumps hard, swelling rivers and causing flooding. “It then gets much more complicated,” Cohen says. “Warming could maybe change the dynamics of the atmosphere, so that you’re getting fewer and fewer storms.” In Southern California, for instance, climate models predict that storms will be more intense but also less frequent. For this new model, the researchers looked at worldwide impacts of fiercer storms by marrying climate models and models of river flows. “The output of the climate model may be rainfall, for example, and that’s the input for the river flow models,” says University of Exeter climate scientist Richard Betts, coauthor on the new paper. “That then calculates the water flow down river channels in all the major basins around the world.” The researchers further modified those outcomes based on different global temperature projections: a 1.5 degree C increase (the idealistic goal of the Paris Climate Agreement), 2 degrees, and 3 degrees. “What we did is take those outcomes and then look at what the maximum river flows meant in terms of flooding impacts,” Betts says. By looking at population and development data, they could project that forward to predict how many people and how much property would be at risk as climate change periodically swells the rivers of Earth. The projections are not encouraging. If humanity can hold global temperature rise to 1.5 degrees C—and many climate scientists think it may already be too late for that—loss of life from river flooding could go up as much as 83 percent from the current yearly average of 5,700. For 2 degrees, that jumps to as much as 134 percent; 3 degrees, 265 percent. As for damages, the global average from river flooding is currently about $110 billion a year. With a 1.5 degree rise, the models predict that could jump 240 percent; for 2 degrees it’s 520 percent, and for 3 degrees it’s a stunning 1,000 percent increase, or a new total of $1.25 trillion a year. Under a slightly more optimistic scenario, which projects slower economic growth, those figures would be lower by about a third. Still, not a good outlook. This does not mean, though, that every region will fare equally. The developing world, where infrastructure isn’t as strong, is more at risk. Population growth is also a factor, as crowding exposes more people to flooding. That’s more intense in South Asia than North America, for example. On the other hand, the models show that a region like Eastern Europe may see a decrease in maximum river water flow. “In other places, Brazil for example,” Betts says, “parts of the country are projected to see an increase in flooding risk. But Brazil is a huge country, and they tend not to be the places where there’s so many people.” The models also assume certain population and development projections will hold. Scientists scrutinize the past and present and extrapolate that forward as best they can. And from the looks of this new study, humanity would do well to prepare itself both for higher seas and angrier rivers. In these times of uncertainty, it certainly wouldn’t hurt.